Four of the most common techniques used to quantify and characterize biophysical interactions include surface plasmon resonance (SPR), biolayer interferometry (BLI), isothermal titration calorimetry (ITC) and microscale thermophoresis (MST). 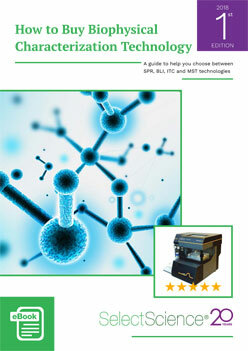 In this free eBook download, we look at these biophysical methods for protein characterization and provide expert insight and information to consider when selecting which biophysical characterization technology to purchase. Our science editors’ picks of some of the best technologies on the market right now.